On US-220 North in the County of Henry, in the vicinity of Church St; Lee Ford Camp Rd; Rt. 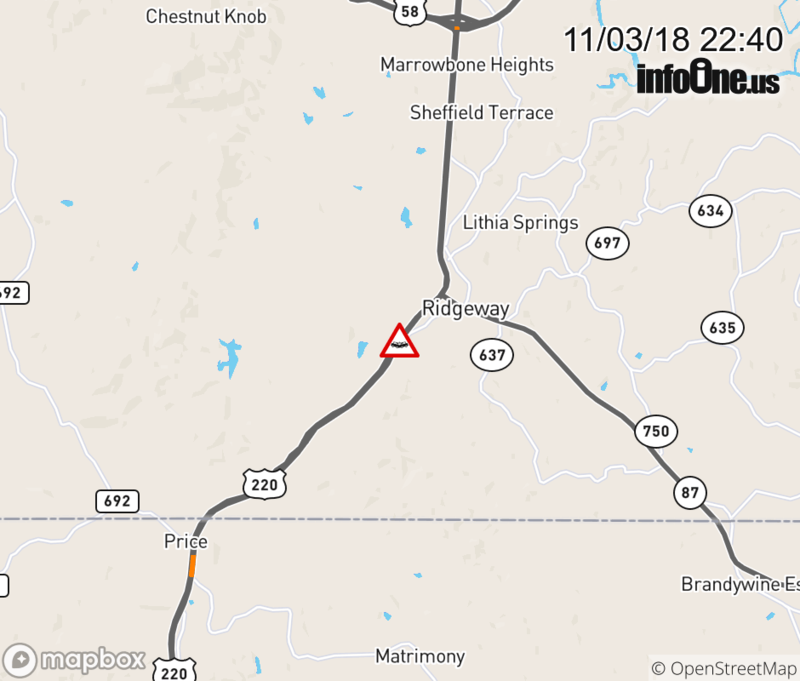 688E/W (Henry County); BUS US-220N/S, BUS US-220N (5 Henry/Ridgeway), motorists can expect delays due to a vehicle accident. Lane closures exist..